Sara Critchfield is a veteran digital media strategist based in LA, and current private consultant to many of the top news and media sites on the web. 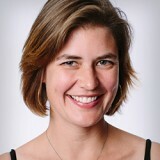 After co-founding a few businesses and working in Washington DC on anti-poverty initiatives, Sara cut her teeth in media as the Founding Editorial Director of Upworthy.com, coined “the fastest-growing media company of all time” by Fast Company. She oversaw the site’s meteoric rise to 50 million unique visitors per month and 8 million subscribers in just two years. Most of her work weaves a thread of social justice and grassroots empowerment through social media and digital communications. When she’s not connecting with users in digital formats, Sara can be found serving as a professional speaker at industry conferences or university settings on social media and virality. Past appearances have included the White House, CO-OP THINK, Personal Democracy Forum, SXSW, VIVID Sydney, the National Association of Realtors, Netroots Nation, and USC’s Annenberg School for Journalism. Named one of 2013’s Most Intriguing People in Media by min (Media Industry News), she has been featured on PBS, CBC, New York Magazine, Fast Company, Business Insider, Bleacher Report, and Nieman Journalism Lab. 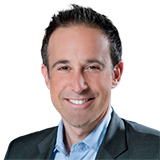 Scott Bales is an entrepreneur, keynote speaker at TEDx and author of the best-selling book, Mobile Ready: Connecting With The Untethered Consumer. A technology and innovation guru, he is a global leader in the cutting-edge arena known as “The Digital Shift,” encompassing innovation, culture, design, and mobility in a world gone digital. As a thought leader, Scott thrives on the intersection between cultural and behavioral changes in the face of technology advancement. 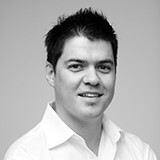 Originally from Australia, Scott runs the leading innovation firm, Innovation Labs Asia, based out of Singapore. Driven by a deep belief in user centricity, Scott preaches the need for organizations to start listening to their customers before they design products or services. He highlights how customers are behaving through the use of data and promotes technology as a way to create enriching and interactive experiences. 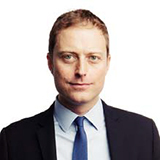 Outside of the corporate sphere, Scott has worked with various governments, taking on key advisory roles in national infrastructure. As a multifaceted techie, he was instrumental in developing the mobile-centric industries for markets across Asia-Pacific. In a world where technology reigns, you must practice what you preach, and Scott does exactly that. He’s a founding member of Next Bank, Mentor to Entrepreneurs across the world on Lean Startup, sits on the Board of Care Pakistan and holds advisory positions at Fastcash, Our Better World, the HUB Singapore and Apps 4 Good. Gary builds businesses. Fresh out of college he took his family wine business and grew it from a $3M to a $60M business in just five years. 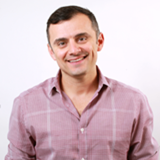 Now he runs VaynerMedia, one of the world’s hottest digital agencies. Gary is the New York Times best-selling author of Crush It!, The Thank You Economy and Jab, Jab, Jab, Right Hook. Along the way he became a prolific angel investor and venture capitalist, investing in companies like Facebook, Twitter, Tumblr, Uber, and Birchbox before eventually co-founding VaynerRSE, a $25M angel fund. Gary also currently hosts The #AskGaryVee Show, a way of providing as much value as possible by taking questions about social media, entrepreneurship, startups, and family businesses and giving his answers based on a lifetime of building successful, multi-million-dollar companies. The show is also available as a podcast on iTunes, Stitcher, and SoundCloud. Named to both Fortune and Crain’s “40 under 40″ lists in consecutive years, Gary has been profiled in the New York Times, Fortune and Inc.
Ted Gonder helped create Moneythink, the only movement of young people restoring the economic health of the United States through preventative, transformative, and evidence-driven youth financial education. Since 2009, Moneythink has trained over 1,000 college leaders to serve as financial mentors and college role models to over 10,000 teenagers across 17 states. In 2015, Ted was named to Forbes’ 30 Under 30 list as the youngest in Finance, and from February 2014 to July 2015, he served on the U.S. President’s Advisory Council on Financial Capability for Young Americans. Prior to Moneythink, Ted served as Entrepreneur-in-Residence at the U.S. Department of Homeland Security, advising the Obama Administration on immigration policy for foreign entrepreneurs. Previously, he worked with the Kauffman Foundation and the Chilean government, researching immigrant entrepreneurship and publishing through MIT Press and McKinsey. 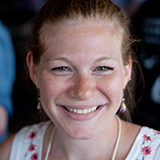 Whitney Hess helps creative leaders practice empathy to get results. Her life’s mission is to put humanity back into business. Since 2005, Whitney has delivered sustainable, systemic organizational change at hundreds of leading companies worldwide. Her clients better understand their customers, their colleagues, their companies and themselves, to develop strategies that make everyone successful. Whitney writes on her blog Pleasure & Pain, co-hosts the podcast Designing Yourself, and speaks at conferences and corporations on empathy, emotional intelligence, and nonviolent communication. She holds a Masters in Human-Computer Interaction from Carnegie Mellon University, and became a Certified Integral Coach through New Ventures West in 2014. In 2015, she earned her Professional Certified Coach credentials from the International Coach Federation. She and her sailor-chef Fredrick live aboard s/v Jenny, their 1980 Endeavour 37′ sloop, currently docked in San Diego, CA. They are in the early stages of their circumnavigation. 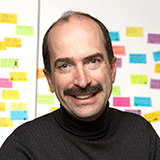 As GM of the widely admired design and development firm IDEO, Tom is a seasoned innovation practitioner with proven techniques for fostering a culture of creativity and developing processes for continuous innovation. Tom is the author of three outstanding books, Creative Confidence, The Art of Innovation and The Ten Faces of Innovation. His ability to foster a culture of creativity in the companies he works with has made him one of the most beloved figures in innovation. Under his management, IDEO has won more admiration and awards than any other design firm in the last decade. At the heart of IDEO’s success is the Creative Confidence philosophy: everyone can contribute creatively to a project if innovation is part of an organization’s way of life. This philosophy is detailed in Creative Confidence, which in its first week was already among the best-selling business books in the country, leading the field in motivational leadership and problem solving. A guide to recognizing and unleashing the creative potential in every employee, it addresses the reality that too often, companies and individuals assume that creativity and innovation are the domain of the “creative types” — artists, writers, the design team. But every one of us has the potential to be creative; creativity is a mindset that anyone can cultivate, not a personality trait you either have or you don’t. And in a marketplace where competitiveness is defined by innovation, the more creativity you unlock across the board, the more likely you are to succeed. 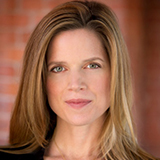 Polly LaBarre is a bestselling author, speaker and thinker who has contributed to the business conversation for two decades. Her work is driven by three core questions: How can organizations change the way they change in order to become endlessly adaptable and gain an advantage over time? How do you embed innovation as a DNA-level capability inside an organization? How do we unleash and organize human potential in ever-more-powerful ways? Polly pursues these questions as director of the Management Lab (MLab) and co-founder and editorial director of the MIX (Management Innovation Exchange), a pioneering open innovation project dedicated to reinventing management for the 21st century. Part discovery engine for the most progressive management practices and ideas, part global community of management innovators, and part experimental lab for developing and testing bold new organizational approaches, the MIX is making real progress when it comes to making all organizations fit for the future—and fit for human beings. Co-author of the bestselling book Mavericks at Work: Why the Most Original Minds in Business Win, Polly is a founding member of Fast Company magazine (where she was senior editor for the better part of a decade), and a former business and innovation correspondent for CNN. Her writing has appeared in numerous publications, including Fast Company, The New York Times, The Wall Street Journal, Harvard Business Review online and the McKinsey Quarterly. Her widely syndicated blog, Fresh MIX, delivers agenda-setting ideas about 21st-century organizations. At Zappos, Robert built Insights from a small website to a thriving multi-million-dollar business teaching over 25,000 students per year. Through his work, Robert has been helpful for improving the employee culture at hundreds of companies like Google, Toyota, Eli Lilly, and Intuit. His book, The Culture Blueprint, is a systematic guide to how a workplace can help people grow, inspire amazing service, and ultimately drive revenue through amazing culture. Robert graduated from Northwestern University with a degree in film, as well as from Georgetown University’s Leadership Coaching Program. He is a member of the Transformational Leadership Council and is based out of Los Angeles. 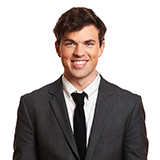 Max is co-founder and director of GOOD, an integrated media company for people who want to live well and do good. A 2014–15 affiliate of the Berkman Center for Internet & Society at Harvard University, he explores the intersection of social action, new media, and mindfulness in the digital age. As founding editor and publisher of GOOD, he helped develop the editorial vision for GOOD Magazine and the Choose GOOD Campaign. From 2009 to 2012, he co-founded GOODcorps. Recognized as a Next Generation Leader by the American Cancer Society, a member of the Japan Society’s Innovators Network, and a First Mover Fellow at the Aspen Institute, he has appeared on CNN, MSNBC, and NPR. Perry is an External Director at Mission Measurement, a world leader in measuring social outcomes. She is also CEO of Perry Yeatman Global Partners LLC and the award-winning author of Get Ahead by Going Abroad. Prior to launching her own firm and joining Mission Measurement, Perry was an SVP in Corporate & Government Affairs at Kraft Foods and President of the Kraft Foods Foundation. During her 7 years with Kraft, Perry was a key advisor to the Chairman and CEO, Irene Rosenfeld, on everything from multi-billion-dollar deals to ending hunger. Perry started her career on the agency side, spending nearly 15 years with leading communications firms. 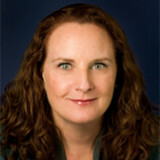 In 2000, she moved “in-house” as a Vice President of Corporate Affairs for Unilever in North America. In 2012, Perry received both the Sabre Award for “Outstanding Individual Lifetime Achievement” and was voted one of the world’s most important in-house communicators. 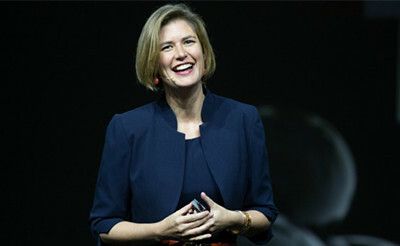 In addition to her “day jobs”, she is also a regular blogger for The Huffington Post and Fortune’s Most Powerful Women, an Advisor to the Clinton Global Initiative, a member of the World Economic Forum’s Global Council on Social Innovation and a member of the Corporate Partnership Council for Save the Children. Perry is also an active advocate for women and girls around the world. 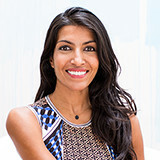 Leila Janah founded two companies that share a common social mission to end global poverty by giving work to people in need. She is also the co-author of America’s Moment: Creating Opportunity in the Connected Age, a book by Rework America: A Markle Initiative. Leila has been a Visiting Scholar with the Stanford Program on Global Justice and Australian National University’s Center for Applied Philosophy and Public Ethics. She was a founding Director of Incentives for Global Health, and a management consultant at Katzenbach Partners (now Booz & Co.). Leila is a Young Global Leader of the World Economic Forum, a Director of CARE USA, a 2012 TechFellow, recipient of the inaugural Club de Madrid Young Leadership Award, and the youngest person to win a Heinz Award in 2014. She received a BA from Harvard in African Development Studies and lives in San Francisco.